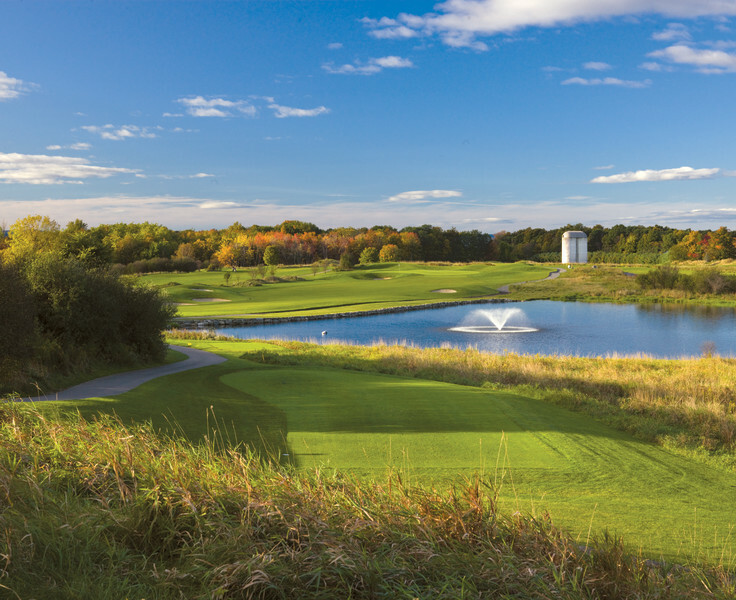 18-hole championship links-style course designed by Steven Kay. Driving range, putting green, pro shop, lessons, and seasonal restaurant. Clubhouse with catering year round. 845-223-1002. Named one of 2018's Top 50 Golf Courses in the U.S. by Golf Advisor logging in at #34. The Links features panoramic Hudson Valley views, an elegant ballroom to accommodate up to 175 seated guests with a spacious dance floor, cocktail hour extends onto our covered patio overlooking the golf course, and pergola for a picturesque backdrop for your ceremony and photographs. In addition wedding parties receive a maitre 'd and bridal suite with private bathroom for the day. The Links only hosts one wedding per day.